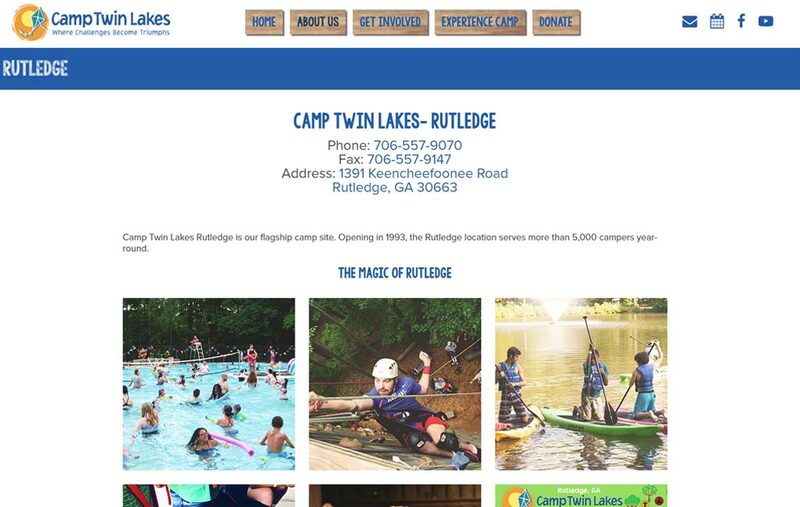 Camp Twin Lakes provides year-round, fully-accessible, and intentionally designed camp programs that teach campers to overcome obstacles while creating shared experiences with other children who face similar challenges. 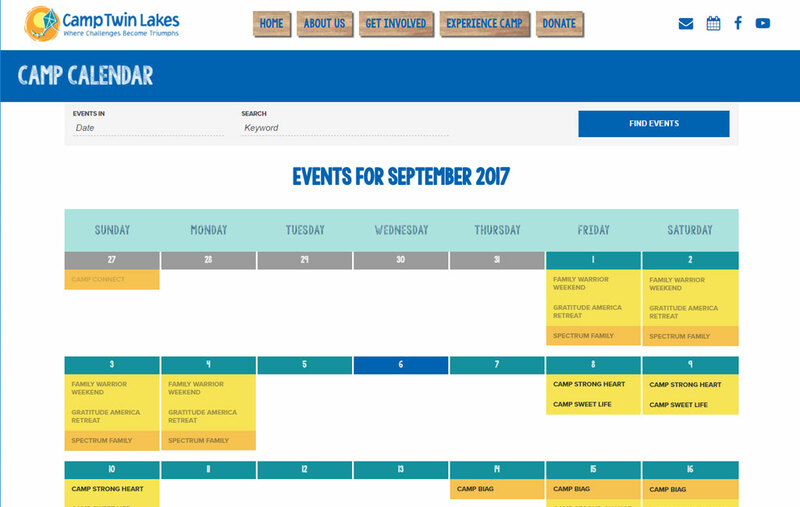 Truevine was excited to be a part of this special build. 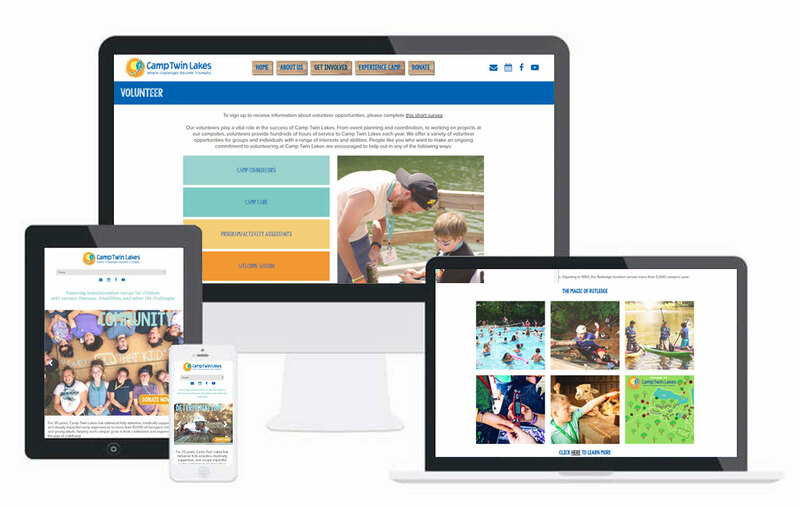 In conjunction with our partners at The Wilbert Group, this year-long project resulted in a fully custom (built to their exact design specifications) WordPress website for Camp Twin Lakes that truly represents what they are all about. 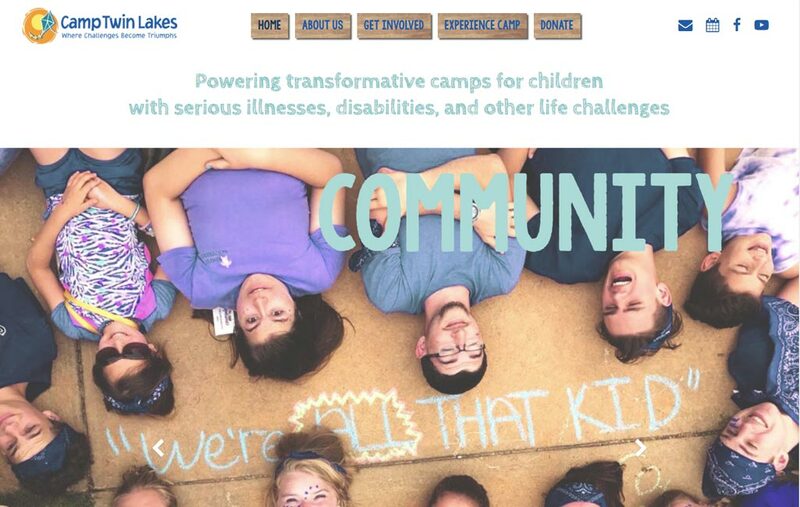 Business Type: Camps for children with serious illnesses, disabilities.